Well, I just have TOO much going on this weekend! First up, I have to tell you about the Pinque Peacock Blog Hop. It's happening all weekend (starting NOW) thru Sunday, featuring different projects every day. You really need to take a peek. It's worth $15.00 in goods if you participate all weekend long! 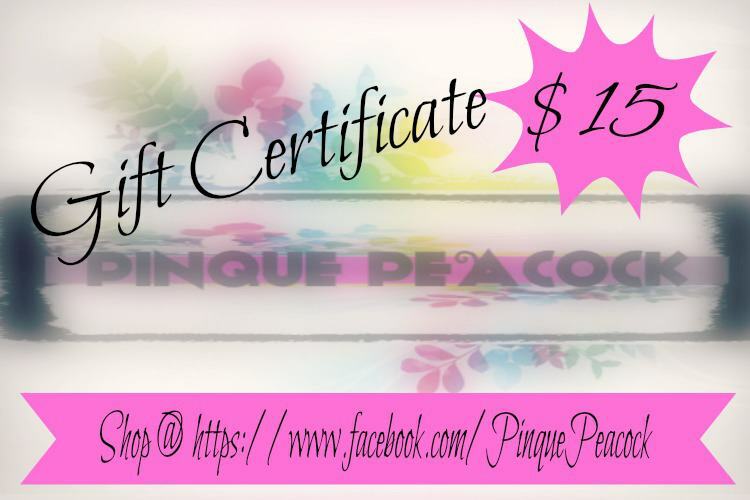 Start on Pinque Peacock blog today and read all about it! Come back here on Sunday! I'll have a post as part of Pinque Peacock's blog hop! I KNOW....I'm seriously demanding (ask my husband). Those aren't my nails, but I fantasized that they were! I am hiding it for my dear husband. He'll find it oh so unexpectantly. It uses some fab ribbon from 3GirlJam! It'll be the precursor to a date! I am going to take him out....just for fun...cuz after meeting up with our 2nd daughter and her beau last weekend, I decided that we should go out more often...and I'm gonna take him out! Okay, so there! Who knew I had this much to smile about. Loved reading your post Rebecca!! Both beautiful cards...loooove....hope you have a great time when you take himbon his date!! I love the pink typewriter and the papers coming out from it!! so cute! I actually had a pink typewriter when I was a young girl! Hee, hee! Love the diamond background you created. OOooh LAaaa LAaaa, sultry indeed! So fun and I love the braided ribbon! I get such a kick out of your posts, Rebecca! Yes, indeed your card is saltry and lovely. I'm sure the Mr. will be thrilled with that one. I'm a FwF fan too and have been admiring your work there as well! Cute, super cute card this week! Have a great weekend, can't wait to pop back over to see what you've got in store for the Hop! Oh so cute! 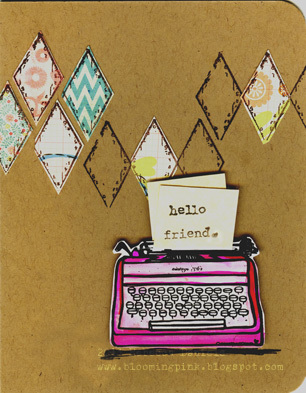 I especially love the paper piecing on the typewriter card! Very cute , love the pink, great paper piecing. Wonderful cards, I really love the typewriter card! Love your FWF card! Great use of the diamonds for the background! Love that fun sexay card :) and how you've paper-pieced just part of the background on the typewriter card - great patterns! Great cards! I especially love the splashes of color (the harlequin stamps). Love,love,love your hello card! Great coloring and the background is fantastic.